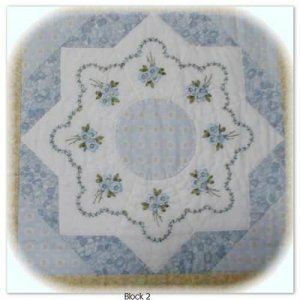 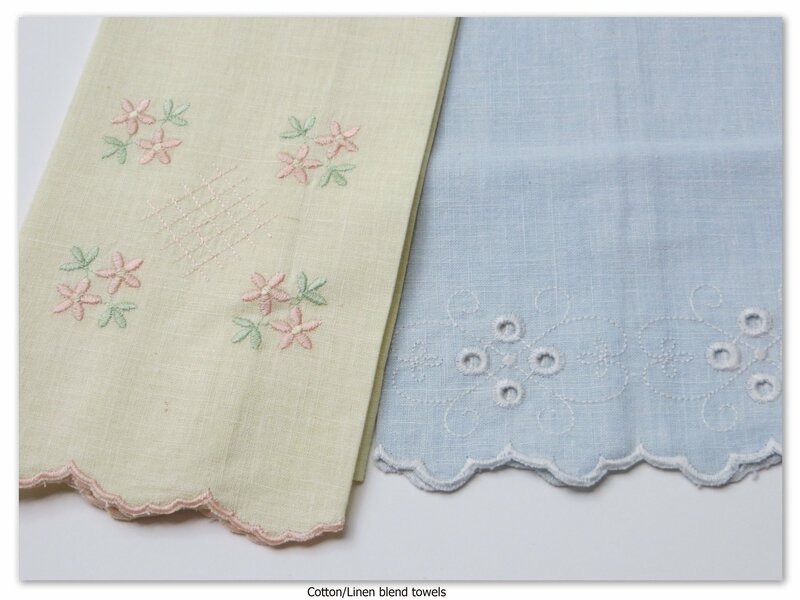 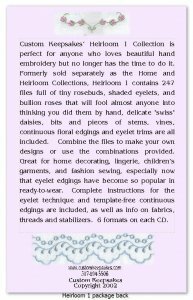 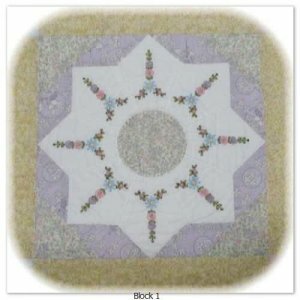 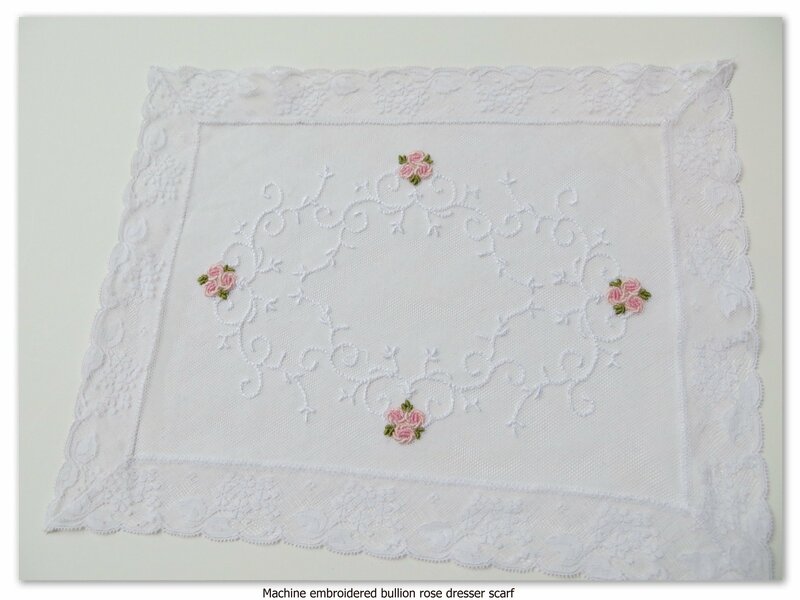 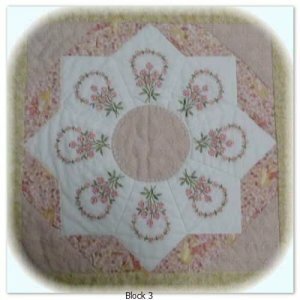 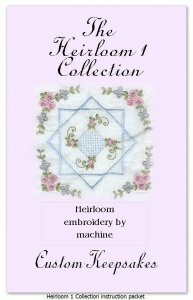 Heirloom 1 is a large Collection of dainty little embroideries like bullion roses, daisies and other handmade looking florals, ready to be combined and used in any delicate sewing project. 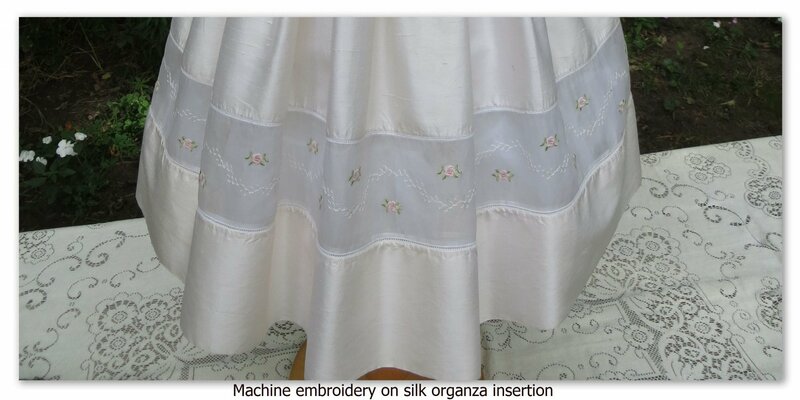 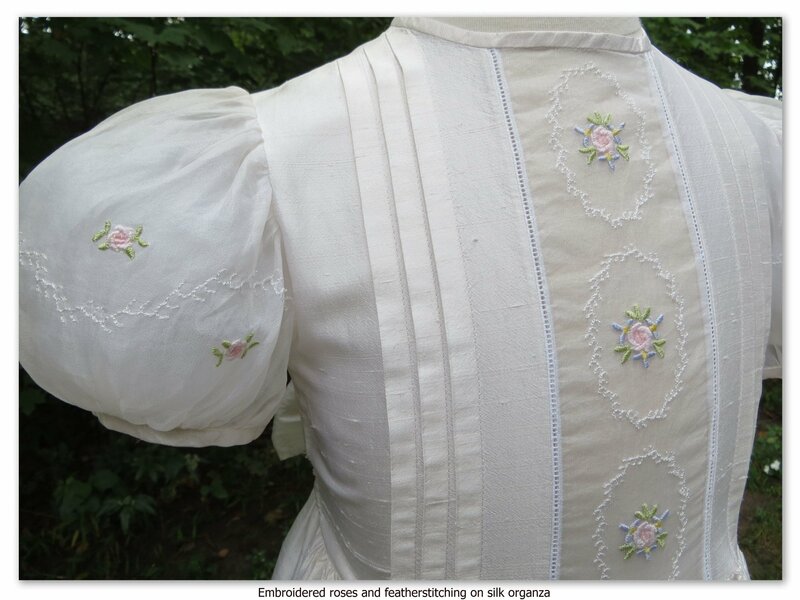 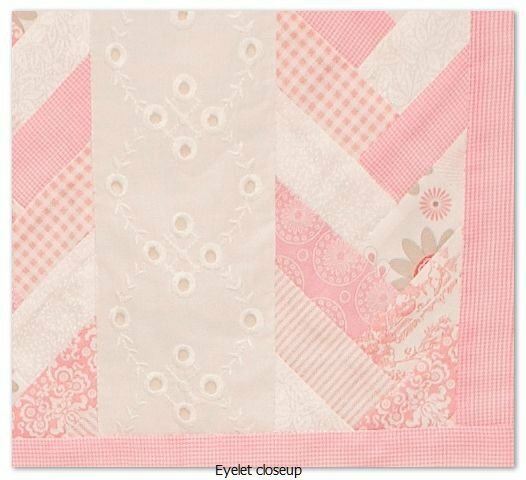 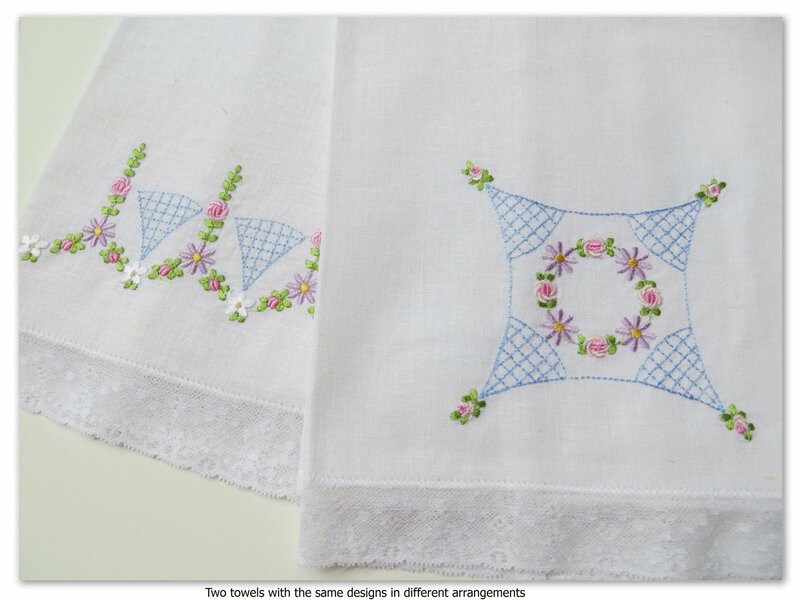 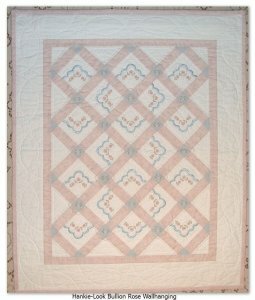 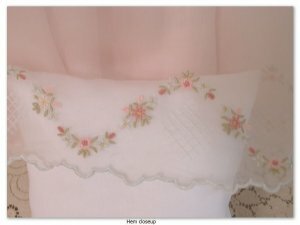 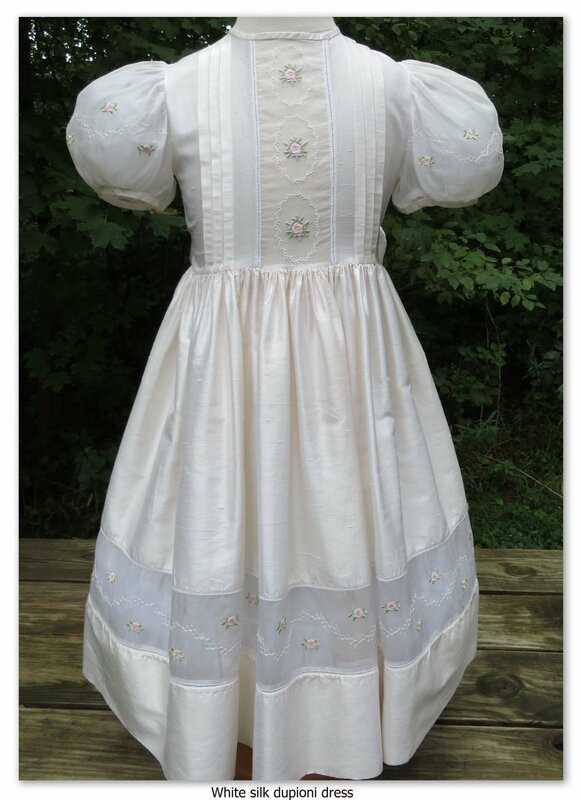 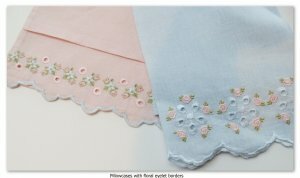 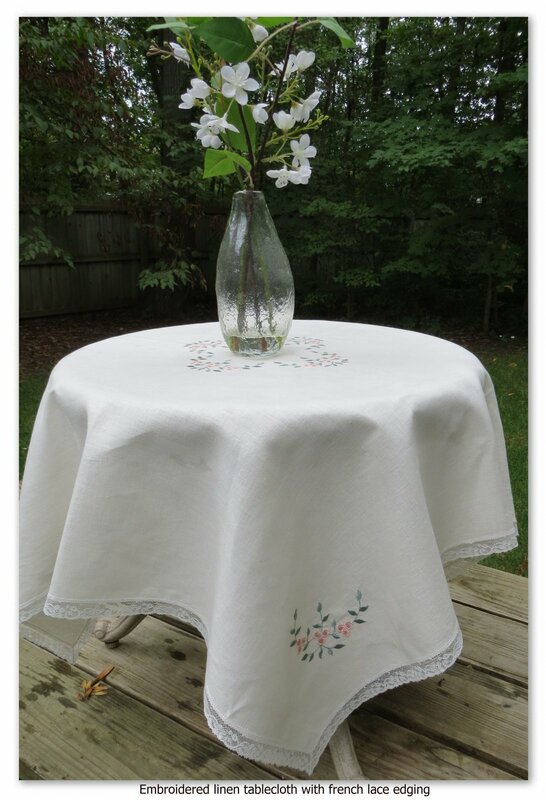 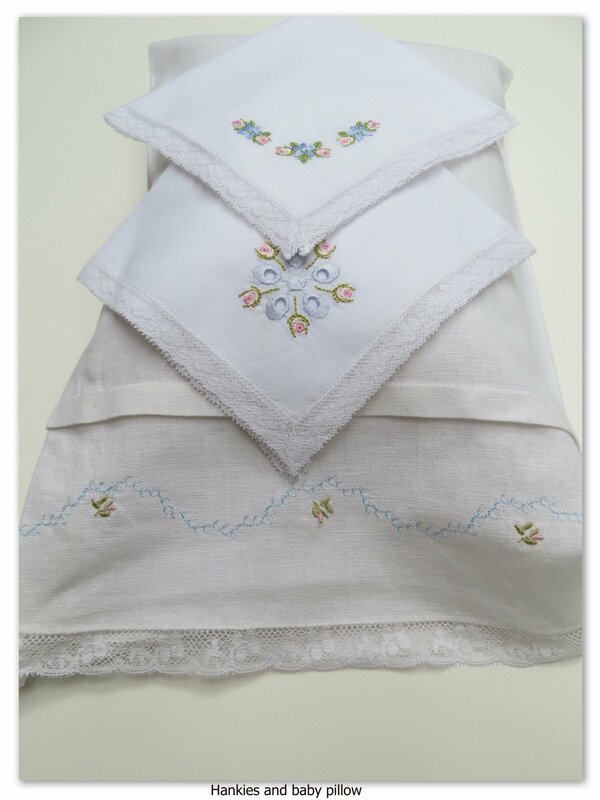 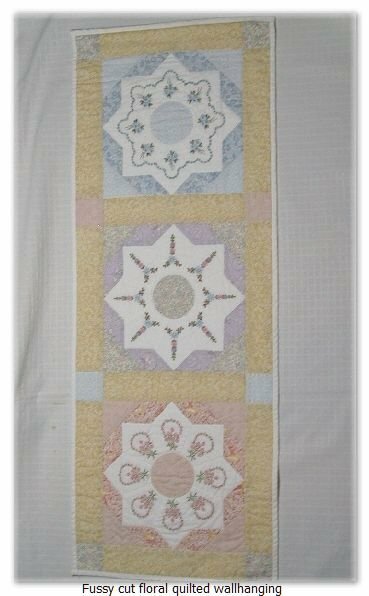 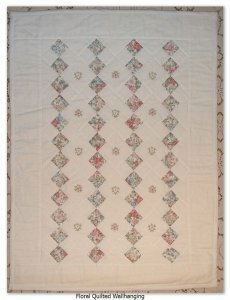 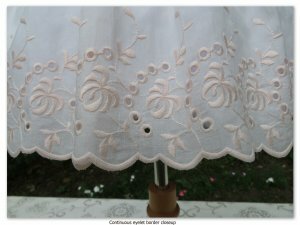 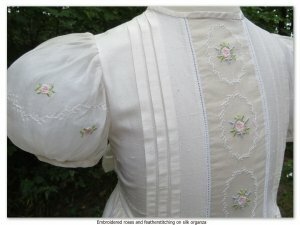 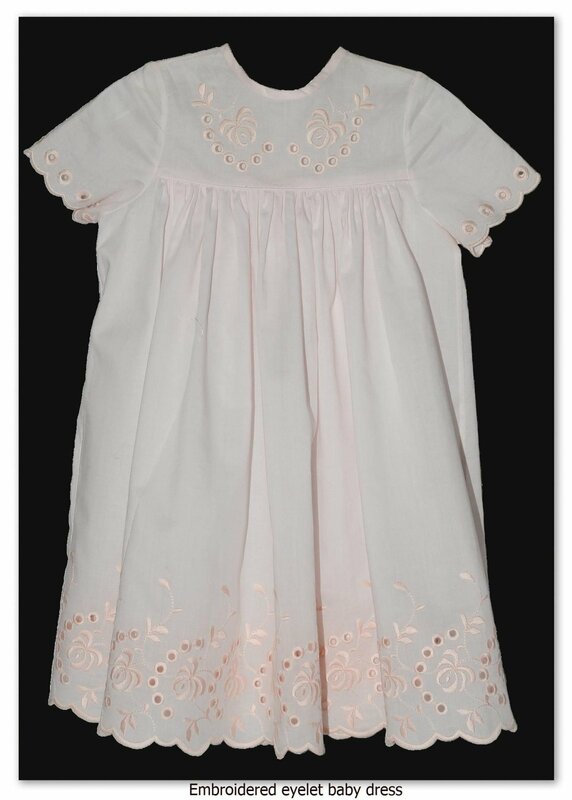 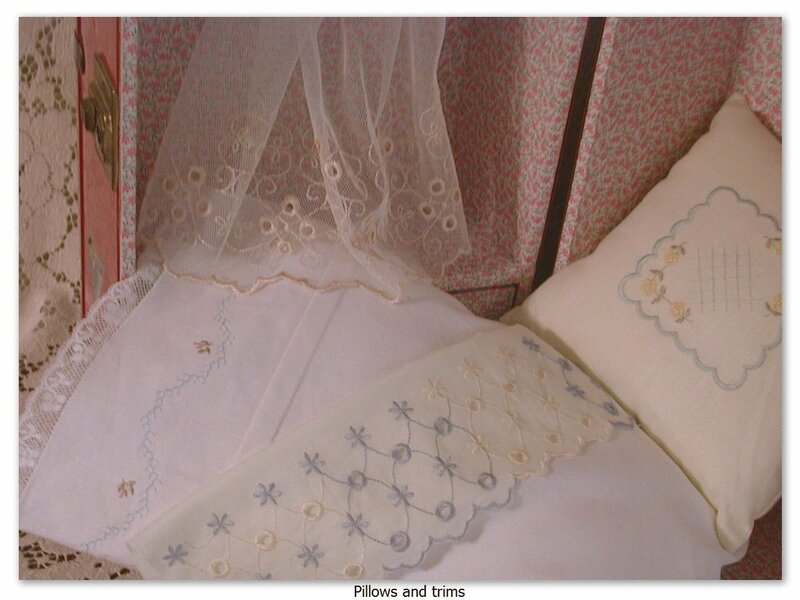 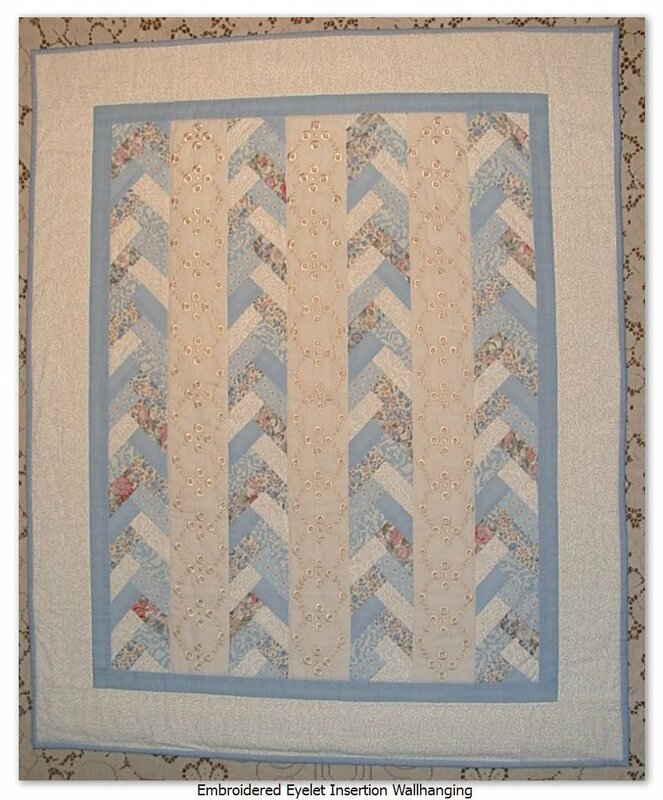 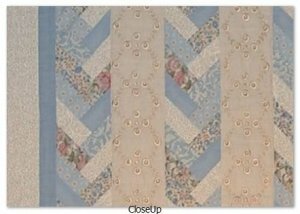 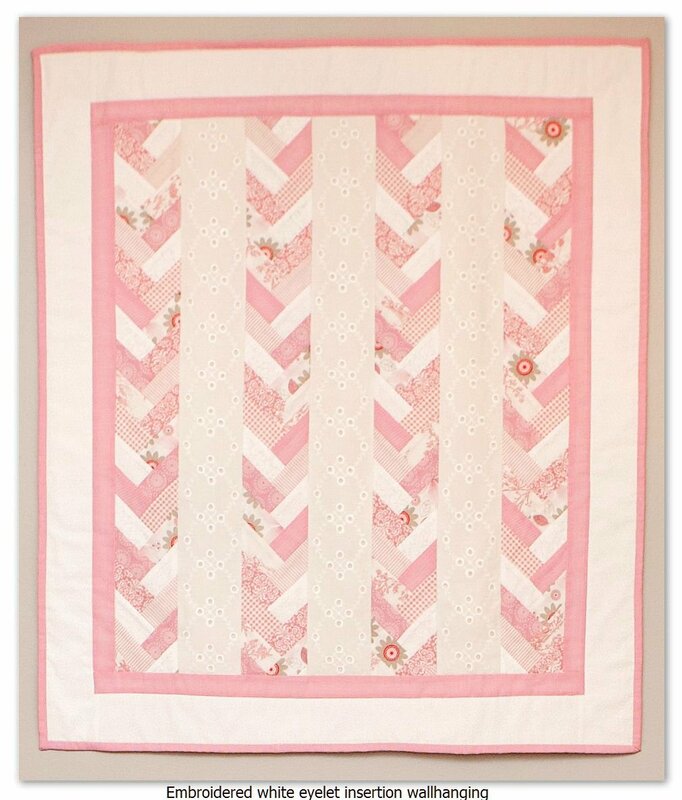 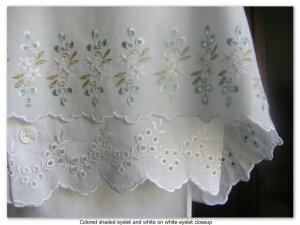 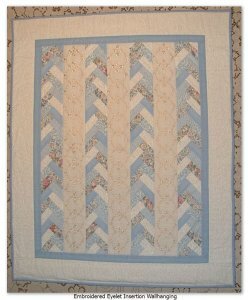 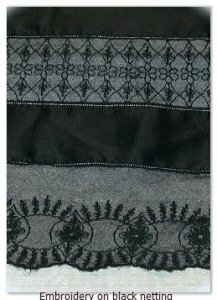 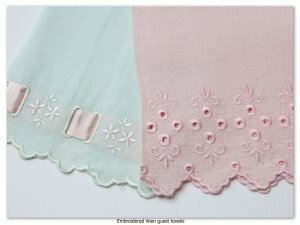 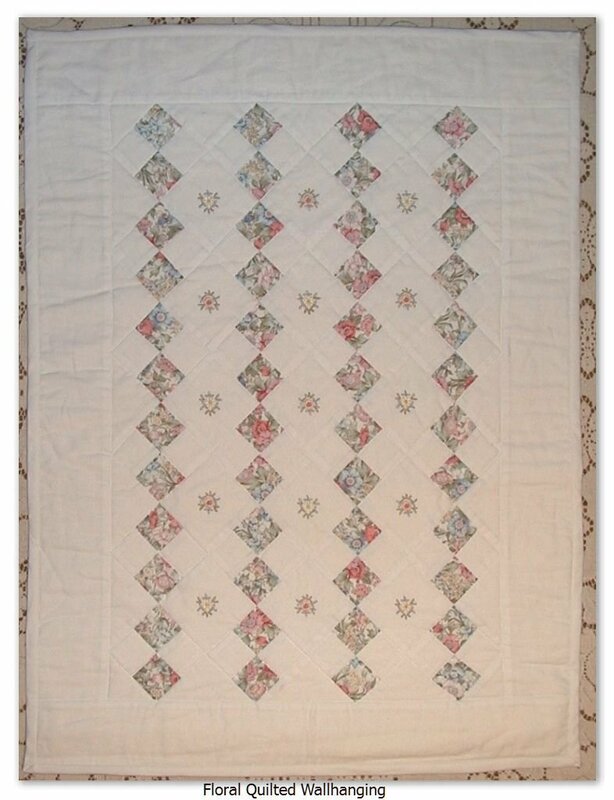 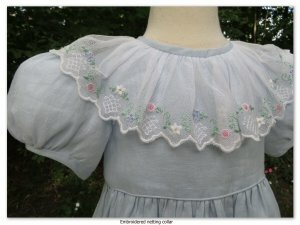 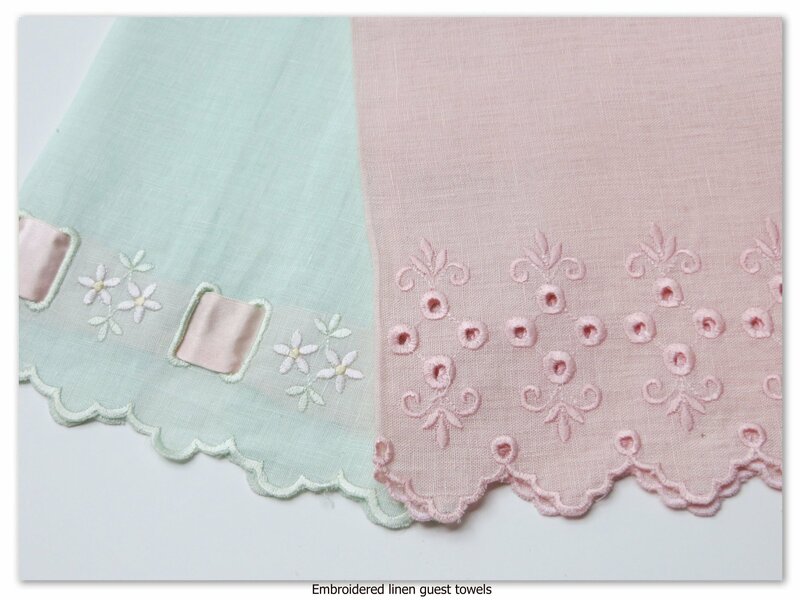 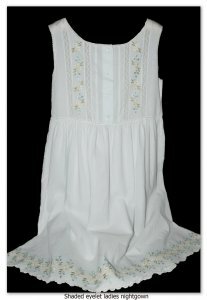 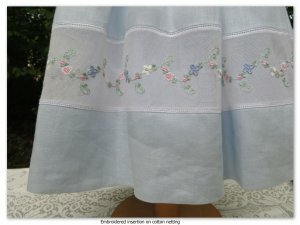 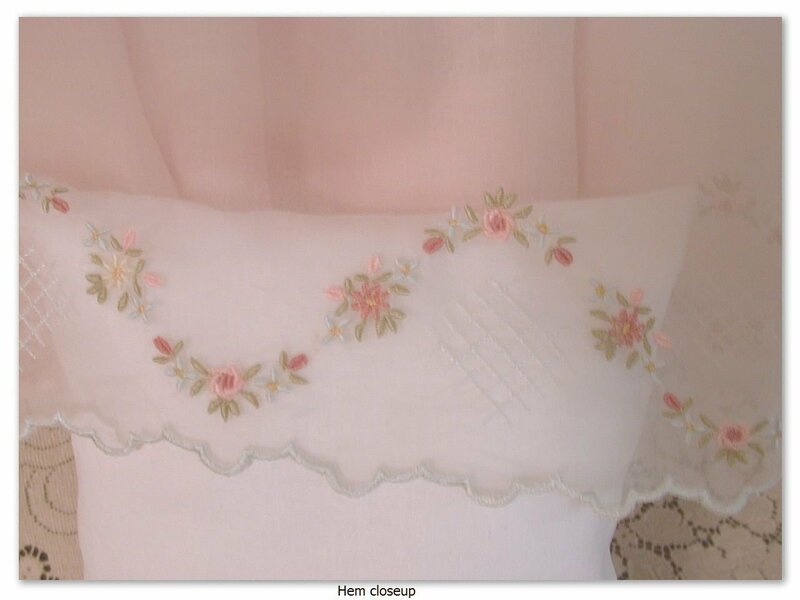 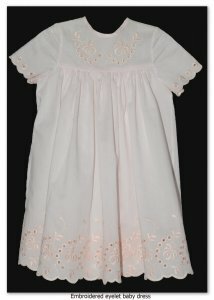 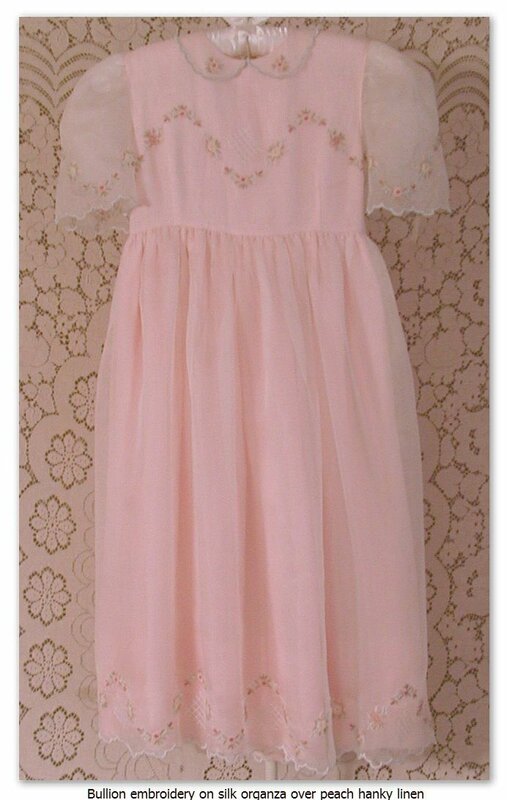 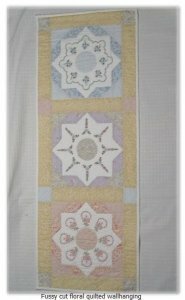 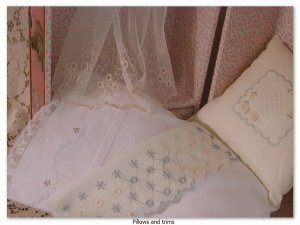 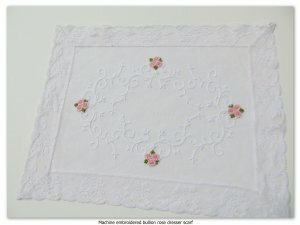 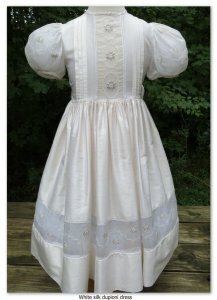 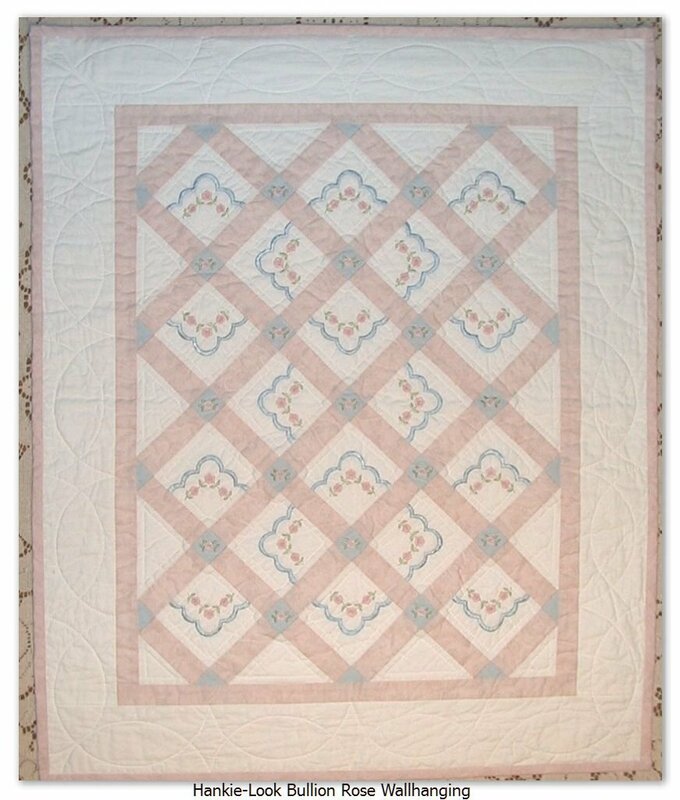 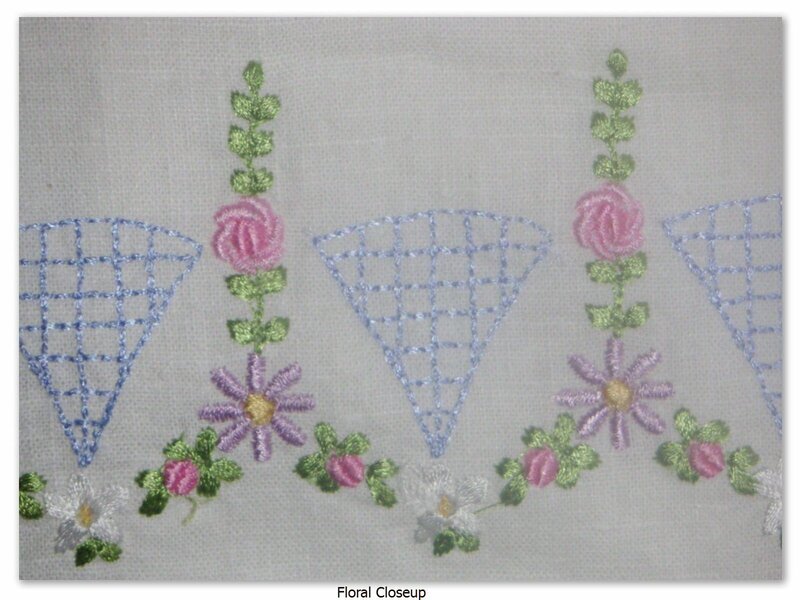 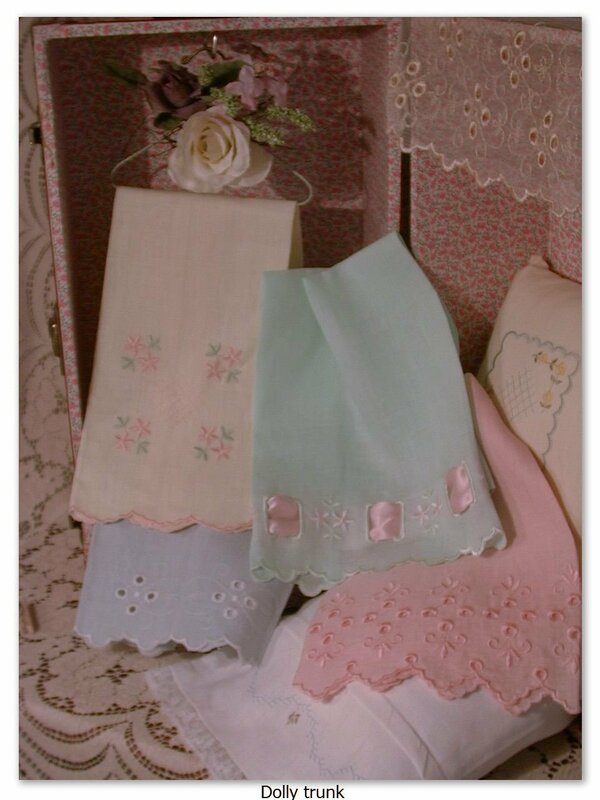 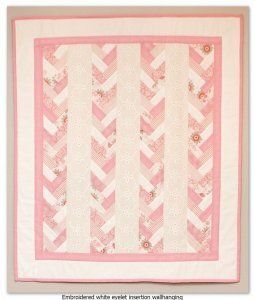 There are plenty of my original technique eyelet designs with matching borders and floral edgings as well! 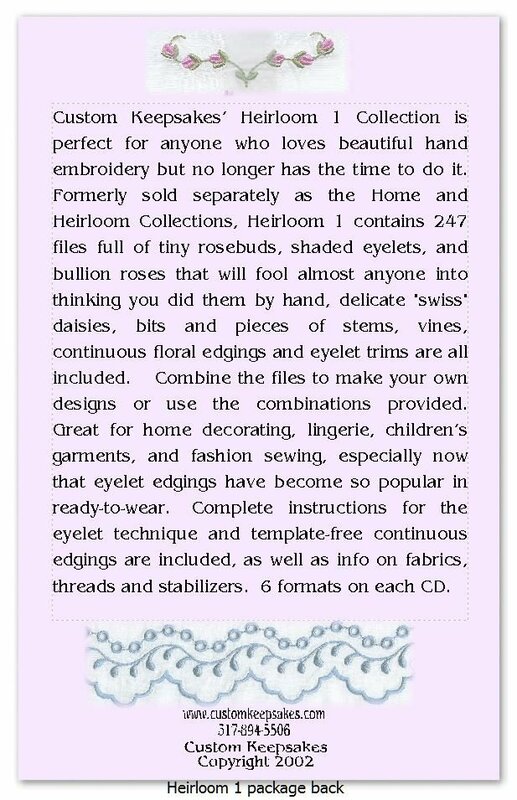 Many of these designs are small enough for a 4" x 4" hoop, but to utilize every single design would require a 6" x 9" hoop. 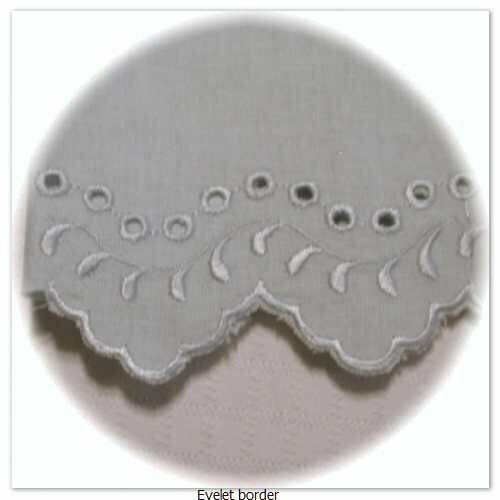 Refer to Design Catalog for exact sizes. 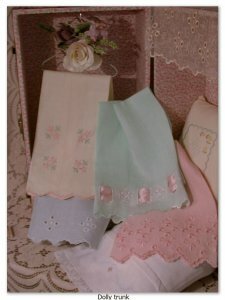 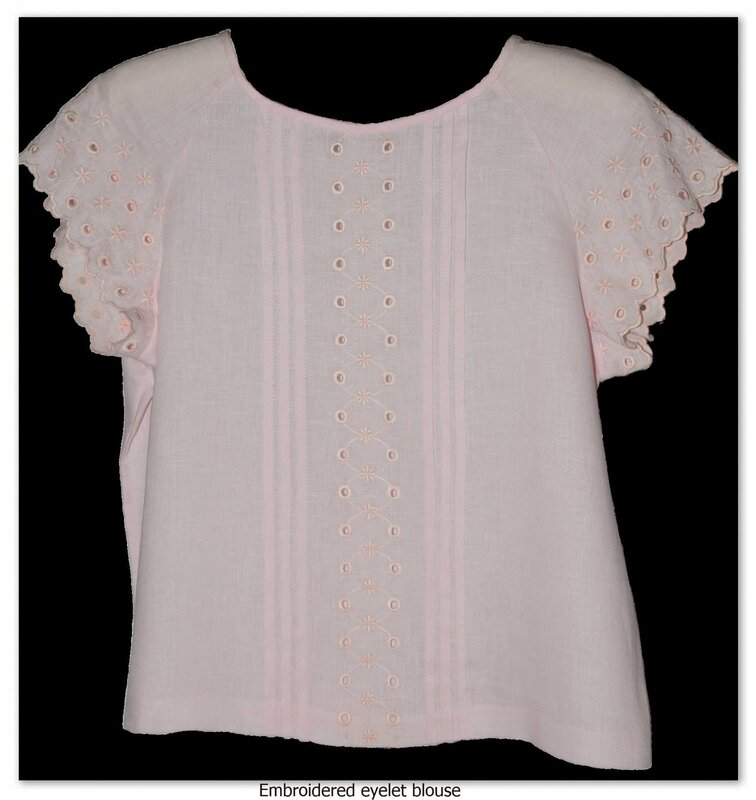 The samples shown here are made from a variety of basic garment patterns that are not included with this Collection. 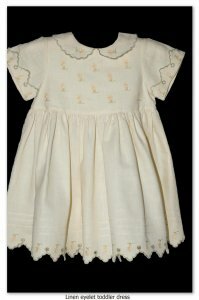 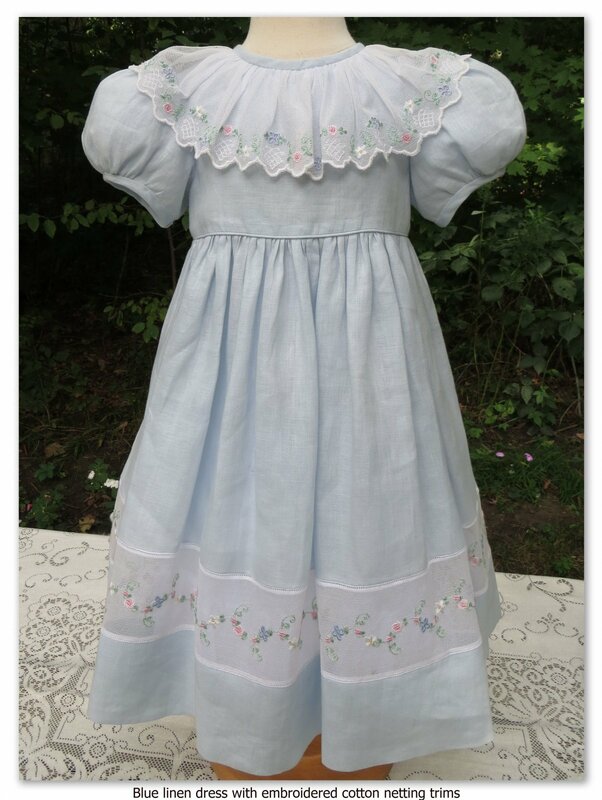 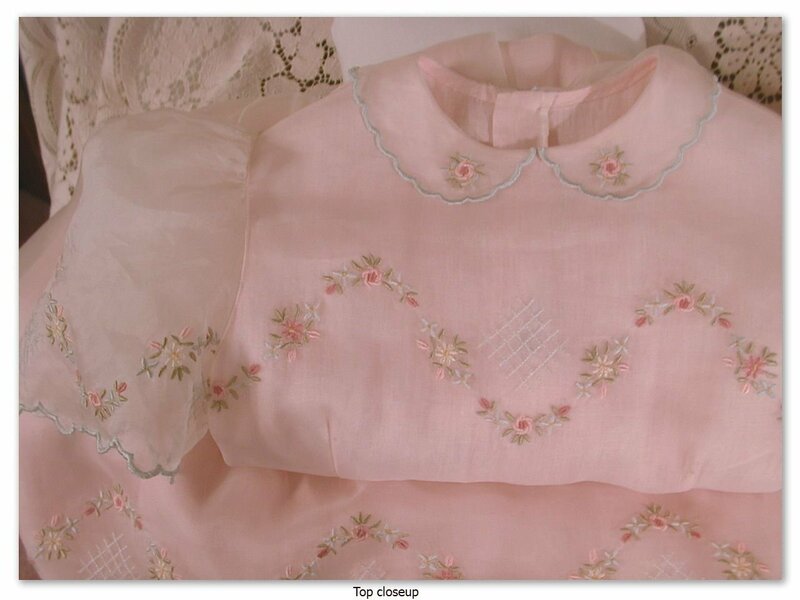 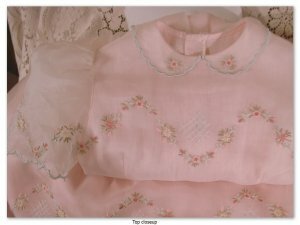 Girls dresses shown could be made with the paper pattern included in the Gals and Dolls Collection. 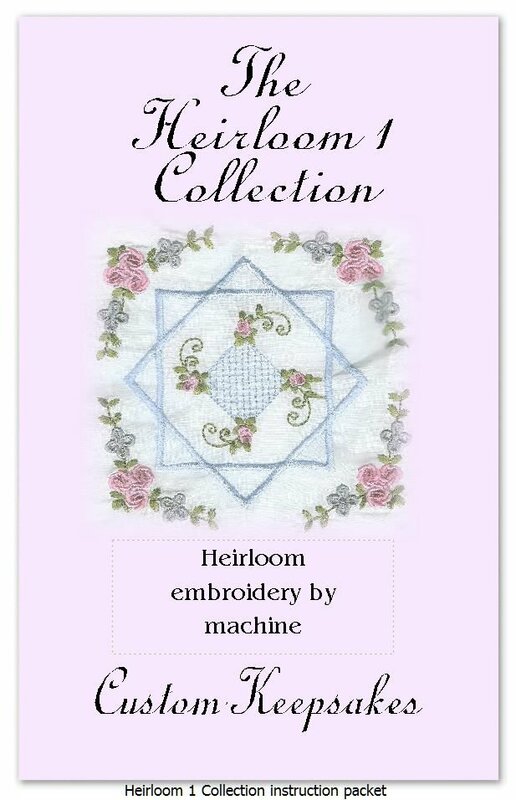 For more information, view the Heirloom 1 product page!